Welcome back to Ol’ Big Jim’s Corner. Today, we’re joined by another wonderful, and may I say gorgeous, English author who has written several beautiful books. Terry Tyler lives in England with her husband. She is the author of three novels on Amazon – ‘You Wish’, ‘Nobody’s Fault’, and ‘The Other Side’. Her fourth, ‘Dream On’, should be out in September or October, all going well. 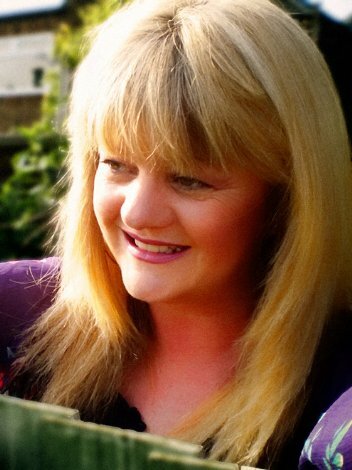 She writes contemporary women’s fiction, with the inclusion of romance, drama, humour, mystery and lots of plot twists. Her novels are about every day people in everyday situations, covering issues that are very relevant today – family break-ups, alcohol addiction, dieting obsession, Facebook, money problems, unrequited love, trying to succeed in the music business, television talent shows – it’s all there! She can be contacted on Twitter, Facebook and Goodreads. She’s an astonishing writer, and if you haven’t done it yet, I strongly suggest you begin reading her books this very day! Now Terry, I have a few questions for you. Jim: What do you do when you aren’t writing? Terry: Much the same as most writers, I suppose – I tweet, go on Facebook and Goodreads, then occasionally remember I have a husband. I also like watching US crime series like ‘The Shield’, which I tend to binge watch. Jim: When did you start writing, and when did you finish your first book? Terry: I wrote a few short stories in my 20s, then about 10 novels in my 30s… I wrote my first novel in 1993. I didn’t do much with it; I just showed it to a few friends to read, then got on with the next one. I knew it was just a first go, and, thus, probably not good enough to show to a publisher or agent. Jim: From where do the ideas for your stories come? Terry: I tend to think of a concept first; for instance, with ‘You Wish’ I wanted to write about how much control we have over our own destiny. Then I think about storylines with which I can illustrate this. I think, hmm, what do I like to read about? And then I write it! Jim: Do you ever experience writer’s block? Terry: Not really. Sometimes I find it harder than other times. If I get stuck, I write anything, just to get it going again; I can always change it in the re-write, make it better. I don’t believe in ‘syndromes’ – I think some people call it ‘writer’s block’ to make it sound more mysterious and dramatic, when all it actually is, is not being able to think of a way to push a plot forward. If it’s really not happening that day, I log off and do something else. Jim: Do you outline or write “by the seat of your pants”? Terry: Outline, then change it all the way through as I think of new ideas! I do write a very basic plan, though; you have to, I think, for continuity. Jim: What author or book influenced you most in your writing? Terry: People always ask that. None, not really. Jim: What challenges did you face in getting your book published? Terry: I’m self published, so the hardest bit is getting it formatted for Kindle! Jim: If you had to go back and do it again, is there any aspect of your novel or getting it published you’d do differently? Terry: I wish I’d known more about the marketing process before I put the first one on Amazon Kindle store; I didn’t even use Twitter, at the time. Jim: How do you market your work? What works best for you? Terry: Twitter, by far. Also Goodreads. And getting your books tagged is very important. Reviews are the best thing – they sell it for you! But Twitter is the main one. I did a free promotion a few months back; if I hadn’t done that, and promoted it via Twitter, I’d still be sitting at the back of the vast library that is Amazon, unknown! Jim: What was your favorite part of this story to write? Terry: With my current novel, I just love writing all of it. I’m enjoying writing it even more than I did the others. It’s about a guy called Dave Bentley in small town England, who wants to be a rock star. Jim: Do your characters lead you on merry chases, creating new plots or do you have to pull it out of them? Jim: Why this story? What was your inspiration? Terry: I first wrote this novel in 1995; I was sitting in a pub with my sister and we were looking at two guys at the bar and, as we sometimes do, we started to weave an imaginary story around them. One of them became Dave Bentley. Oddly enough, 4 years later I married the other one. I only ever showed that novel to family and a few friends, but everyone said it was my best; it’s very typical of English ‘pub bands’. Earlier this year, I decided to re-write it and bring it up to date. Jim: Tell us about your writing environment. Is it messy or neat? Is there a cat on the desk or a dog at your feet? Do you use pen and paper, laptop? Terry: I write at a rather cranky old computer in the corner of my living room. It’s relatively tidy, but I always have things scrawled on bits of paper all over the desk; things I have to remember for later chapters, things I need to look up, things I need to insert in previous chapters. Jim: What about your process? Do you produce consistent daily or weekly word counts or do the words rush out all at once and leave you with a dry spell? Terry: I write virtually every day. I start as early as I can in the morning, as that is when I am at my best, and stop when I am tired, or when I have other things I need to do. Jim: What was the toughest criticism you received as an author? What was the best compliment? Terry: I’ve had loads of marvellous compliments, too many to relate, for which I am so grateful. One of the best was very recently, when I told a professional editor who’d read my books that I don’t use an editor or professional proof-reader, and she said I must be one of the few writers who are truly capable of editing their own work, because she hadn’t found any glaring errors. Criticism? I get the occasional bad review. But I can deal with that. I won’t be everyone’s cup of tea. No-one is. 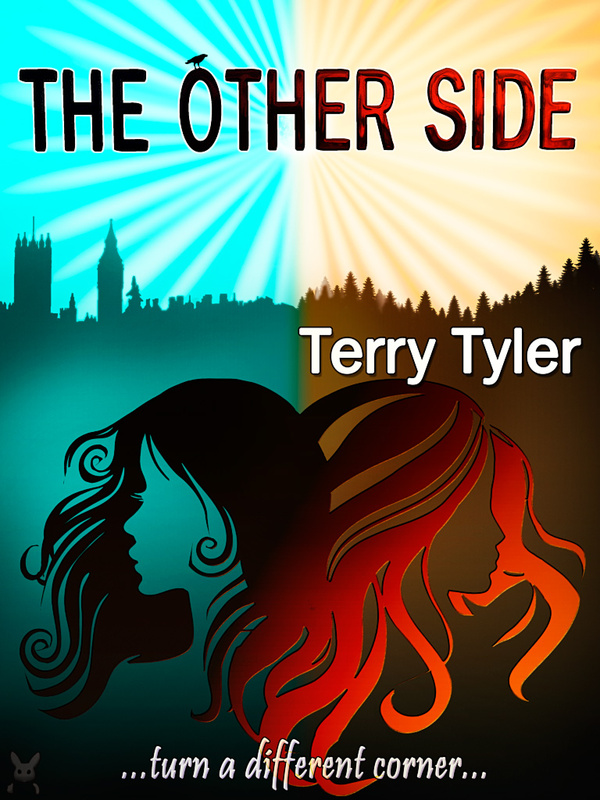 For my 3rd novel, The Other Side, I tried it out on a few friends when it was in its 3rd or 4th draft, just to see if it was working, as the concept is a rather complicated one. I thought it was the best thing I’d done. The first one came back to me saying that she hated all the characters and found it confusing. I was pretty gutted because I was so proud of it! But I took her criticism on board, and used what she’d said to make it better. It’s now ‘complex’ rather than confusing!!! But it’s got mostly very good reviews! Jim: Do you have any advice for aspiring writers? Terry: Oh, God, too much. In a nutshell: Read as much as you can. Don’t expect everyone to love what you do. Don’t expect your non-writer friends to be that interested in what you’re doing. If you’re not very good at punctuation and grammar, learn how to do that before you attempt to write a novel. It doesn’t matter how great your plot is if you can’t write. Bear in mind the reader when you’re writing; self-indulgence will please no-one but you. Don’t follow trends. Don’t rely on the reciprocal critiquing of creative writing groups to give you a true opinion of your work; other writers may have axes to grind, or they may tell you it’s fabulous just so you tell them theirs is. Don’t listen to the ‘rules’ – you don’t have to have beta readers, editors, etc if you’re confident about your work. Don’t worry if your first novel isn’t all that great, you’ll get better. You don’t have to have a blog to sell books. Stop listening to all the advice that is EVERYWHERE these days, and just write your novel! Jim: Is there anything you would like to say to your readers and fans? Terry: Thank you for reading my books, thank you for liking them, for telling others that you do, and for reviewing them – and I hope you’ll love ‘Dream On’ when it comes out – the other day, I wondered if I had created ‘bloke lit’ as opposed to ‘chick lit’ – the main character is an average guy in a rock band, after all, with many insecurities and aspirations! But it’s a woman’s book, too – the other main characters are Janice, who is the mother of Dave’s son, and Ariel, a singer-songwriter with whom Dave is in love. Oh, and then there’s Melodie, who just wants to be ‘a celebrity’, and the other guys in the band…. I can’t WAIT for it to be out, and I hope you love it! Now that you’ve heard it from Terry’s very own mouth, or keyboard as it were, I know you’re anxious to start reading and are asking yourself, ‘how in the world can I find this woman’? Well, fear not, Ol’ Big Jim has all the answers! Begin your search at Amazon UK or US, Goodreads, and Facebook. You’ll find the gems that she has cast at your feet. All you have to do it pick them up and get reading! Thanks so very much, Terry for joining us today. My readers and I all wish you even greater success! This entry was posted in Author Interviews and tagged Amazon Kindle, author, book, Goodreads, Interview, literature, Terry Tyler, Twitter, writing, www amazon. Bookmark the permalink. Thanks for stopping by and commenting. Terry is just delightful, isn’t she? I’m sure you’re going to love her books!